The Institute of Contemporary Development held a meeting of leading Russian experts with a delegation of the US Ministry of Defense headed by Assistant Secretary of Defense for International Security Affairs Alexander Vershbow. The meeting focused on a discussion of opportunities to further develop Russia-NATO relations and cooperation in antimissile defense. The Institute of Contemporary Development held a meeting of experts dedicated to proposed federal legislation aimed at creating a national payment system for the Russian Federation. The Institute of Contemporary Development hosted a roundtable titles “Mechnikov – 21st Century Program: Results and Outlook”. The event was held together with the All-Russia Public Movement “For a Healthy Russia”. The roundtable was held as part of a series of event dedicated to the Nobel laureate and pioneer in Russian science and medicine Ilya Mechnikov, who made major contributions to world civilization. Speaking at the roundtable, director of the Mechnikov – 21st Century Program Nadezhda Mokrousova told participants about events taking place as part of the program. Other speakers included S. Murtazina of the Ilya Mechnikov Memorial Museum, president of the Academy of Innovative Social Technology V. Patrushev, and others. The Institute of Contemporary Development hosted a roundtable on “Innovative Development of Russia’s Regions: Problems and Prospects”. The event was organized by the New Eurasia Foundation in partnership with the Institute of Contemporary Development and with informational support from Interfax. The report was prepared by the Institute of Contemporary Development together with the Institute of Energy and Finance as a part of ongoing research on the situation and outlook for oil and gas refining and the petrochemical industry in Russia. 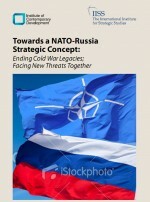 The Institute of Contemporary Development and the International Institute for Strategic Studies (London) have made the report “Towards a NATO-Russia Strategic Concept: Ending Cold War Legacies; Facing New Threats Together”. On October 11, the Institute of Contemporary Development held a conference titled “Sakhalin Oblast: The Path to Integration into the Asia-Pacific Region”. The conference was opened with the official signing ceremony of a cooperation agreement between the government of the Sakhalin region and the Institute of Contemporary Development. 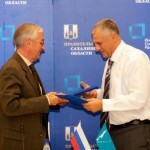 The document was signed by Sakhalin Governor Alexander Khoroshavin and INSOR Management Chairman Igor Yurgens. According to the cooperation agreement, INSOR will assist the regional government in its efforts to achieve the regions strategic development goals through the year 2020 as well as in the realization of other social-economic programs and projects. 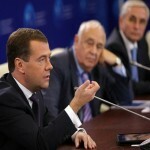 Global Policy Forum "The Modern State: Standards of Democracy and Criteria of Efficiency"
The international conference “The Modern State: Standards of Democracy and Criteria of Efficiency” was held on September 9 in Yaroslavl under the auspices of the President Dmitry Medvedev. The conference was organized by the Institute of Contemporary Development, the Institute of Social Research (INOP), and Yaroslavl Demidov State University. Participants of the event gathered to measure efficiency of modern democratic states and to suggest criteria for such a measurement; to define the modern democracy standards and the impact of a modern state on the methods to react to challenges in the frame of regional and global security systems. The Institute of Contemporary Development hosted an expert discussion devoted to a virtual launch of the Skolkovo Innovation Center. The corresponding document drafted as a result of the meeting will make part of a draft law to be submitted to the State Duma for a second reading. The discussion was attended by the State Secretary and Deputy Minister of Industry and Trade of the Russian Federation Stanislav Naumov; Chairman of the Information Policy and Information Technologies Subcommittee Ilya Ponomaryov, Head of the Skolkovo project working group Oleg Alekseev and a number of other experts and officials.